of the Grand Prairie Genealogical Society. Thank you for stopping by. Come back again! 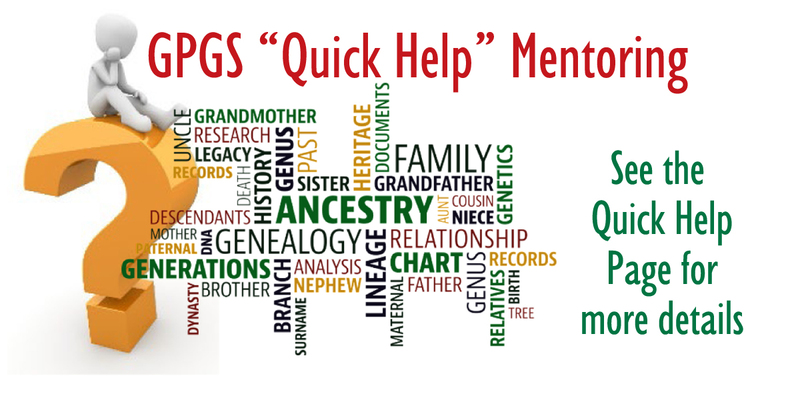 Need HELP on Your Family Tree? GPGS will help you ... FREE! Assistance available! Contact us at "quickhelp@gpgstx.org". A volunteer will contact you OR come early to a meeting! GPGS meets monthly at the Grand Prairie Memorial Library, 901 Conover Drive. Our 'Quick Help' Desk is open at 6:00 prior to each* regular meeting...no advance appointment necessary! "Meet and Greet" begins at 6:30 pm - Program follows at 7:00 pm. Check out the pictures of recent meetings on "Meeting Photos" page! Check the Events page for more information about all our activities. First time Members...now until end of August - 1/2 price! Just $7.50 for individual or $10. for family (in one household). Congratulations Grand Prairie Public System! The Grand Prairie Public Library System has received the 2018 Achievement of Library Excellence Award from the Texas Municipal Library Director's Association (TMLDA.) TMLDA is an affiliate of the Texas Municipal League. Each year TMLDA confers awards for outstanding contributions to the public libraries. To successfully receive the Achievement of Library Excellence Award, the applicant must exhibit excellence in providing services to underserved and special populations, in enhancing services in marketing their programs and services in innovative ways, in promoting summer reading clubs, in pursuing collaborative efforts, in supporting workforce development, in providing digital inclusion and in comprehensively training staff. 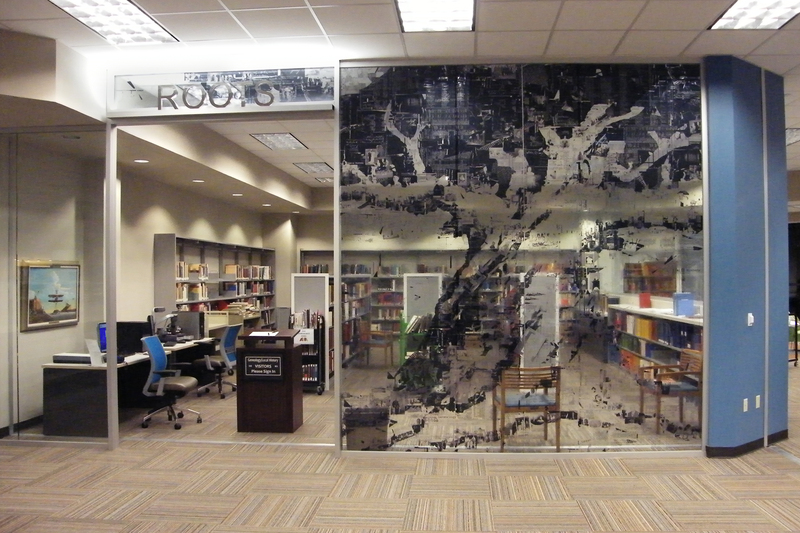 The genealogy room at the Grand Prairie Memorial Library, now known as the "Roots Room", is open and ready for you to do your research. Volunteers from the Grand Prairie Genealogical Society worked hard to arrange the collection in the room and added donated bound periodicals to the collection. Spring has sprung! Well, on the calendar at least! 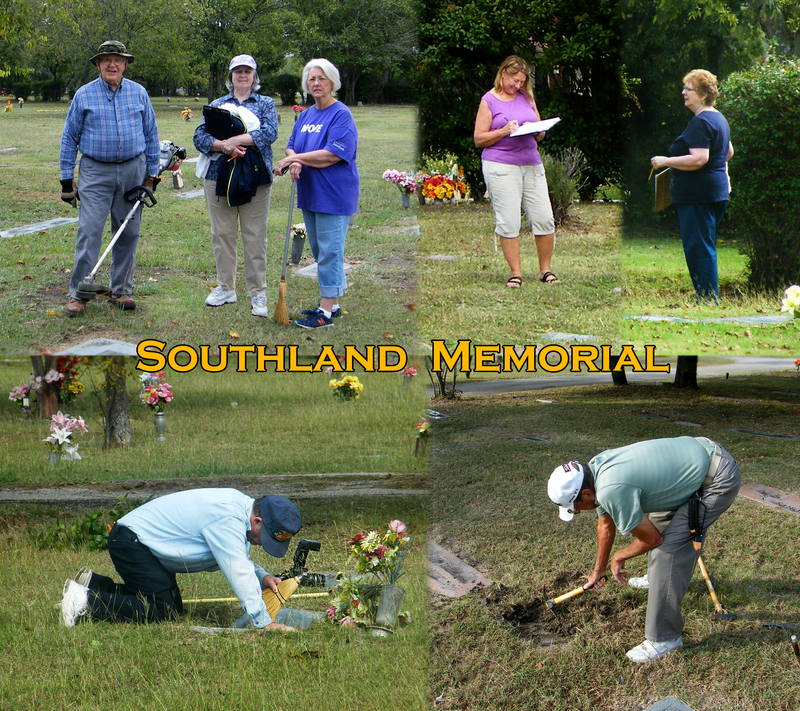 It won't be long before we can resume recording and photographing grave markers in Southland Memorial Park. The finish line is in sight; and we are anxious to get back to work. You are sure to enjoy the experience of knowing you might be helping someone locate the grave of a loved one. We have room for more interested volunteers. If you would like to help, contact Regina. Many levels of jobs are available...we're sure to find one to fit you! foundation for this organization now celebrating more than 50 years. and the library have worked together to expand local research facilities and materials. of other speakers at our monthly meetings. our own members who have shared their time, treasures, personal research materials and stories. genealogy research" are always interesting anecdotes. faces new challenges for resources, equipment and training. We want to remind everyone that if you shop at Kroger or Tom Thumb - we'd love to have you designate GPGS on your Rewards Card! Visit Kroger website at https://www.kroger.com/communityrewards and add the GPGS's Kroger Community Rewards number, KE117 to your card. Kroger shoppers, if you’ve already designated us, they do require renewal on August 1st each year. To link your Tom Thumb Reward card to GPGS fill out the Tom Thumb Good Neighbor form found at www.tomthumb.com/CMS/includes/docs/TomThumb-GoodNeighbor.PDF using our ID# 12309, then drop this form off at the courtesy desk at a Tom Thumb Store. Members may visit secure downloads to get same form to fill out and take to store. Are you an Amazon Fan? Purchase with purpose. Now you can make all your Amazon buying at http://smile.amazon.com/ch/23-7136076 and Amazon donates to GPGS! Every little bit helps . . . Thanks for your help!